Mrs. Zaiditor Olive Jeffers of Craddock Road was honoured at the annual Christmas Tree Lighting Ceremony in Charlestown on December 05, 2018, for her contribution to the community. 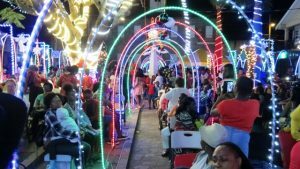 The tree lighting event is the first of several which will be repeated throughout the island on a smaller scale over the Christmas season. The following is an address by Hon. 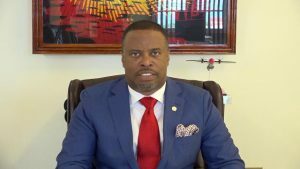 Mark Brantley, Minister of Aviation in St. Kitts and Nevis on the occasion of International Aviation Day 2018 observed on December 07, 2018.